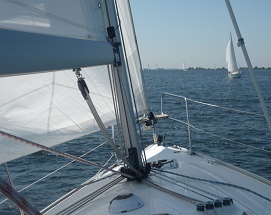 Sailing lessons at our sailing school in Zeeland, Holland means: Lessons at the highest quality. We therefore dare to issue a guarantee that after following our sailing lessons and the related theory courses, you will be a skilled master or a valuable team member. As a professional sailing school, we are a member of the CWO (Watersport Education Commission) and Isaf (The international Sailing Federation). We are also a Hiswa qualified and recognized water sport training centre. We therefore can guarantee training at highest level and in the safest and best practices. 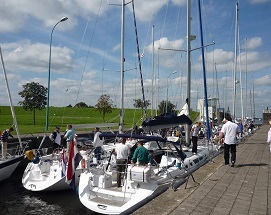 The CWO affiliated sailing schools recognize the qualification system for voluntary sailing schools. 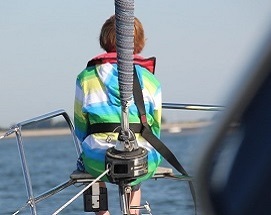 This means for example that previous followed CWO sailing courses, can be completed at our CWO sailing school. At our CWO sailing school, instruction is given on modern sailing yachts, fully equipped to meet the highest safety standards. For the duration of a course we assume an average. 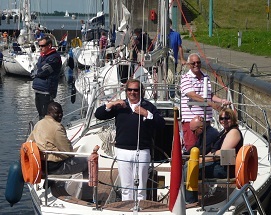 Corporate sailing day, prices on request. Exchange voucher Price and time in consultation. For a complete list of our sailing holidays including the various periods and prices, we kindly refer to our (sea) sailing holidays page. Bareboat sailing with our well maintained and over equipped Bavaria 30 ft or Bavaria 38 ft .
For information and prices we refer to our yacht rental page. At our table you can enjoy the honest taste of nature. Whenever possible, we buy our products and raw materials from the green and organic farming. These products are therefore grown in harmony with nature without theuse of artificial fertilizers and/or synthetic pesticides. Reception with coffee or tea , a comprehensive and well prepared lunch at noon and after sailing, a delicious aperitif. The costs are Euro 23,50 p.p.